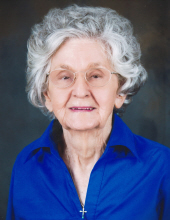 Cherryville - Mrs. Rachel Eaker Randall, 93, passed away peacefully surrounded by her family on Saturday, January 12, 2019 at her residence. Mrs. Randall was born on August 31, 1925 in Catawba County, NC a daughter of the late Martin Luther Eaker and Mary Elizabeth Sigmon Eaker. She was retired from Meade Knitting in Cherryville and was a life-long member of First Presbyterian Church in Cherryville. In addition to her parents she was preceded in death by her husband, J. L. Randall, four brothers, Earl Eaker, Will Eaker, Herman Eaker and John Eaker as well as three sisters, Gladys Newton, Nell Stroupe and twin sister, Hazel Eaker. Survivors include a daughter, Judy Chapman of Crouse; a son, Jerry Randall of Cherryville; five grandchildren, Todd Chapman, Kimberly George, Angie Long, Pam Huffstetler and Stephanie Mulvey; eight great grandchildren, Taylor Long, Randall Long, Lance Finger, Alex Finger, Jennifer Rector, Benjamin Huffstetler, Jack Mulvey and Kate Mulvey. Visitation will be on Wednesday, January 16, 2019 from 1:45 to 2:45PM at First Presbyterian Church Fellowship Hall and at other times the family will be at the home of Angie Long, 101 Crown Creek Drive, Cherryville, NC 28021. Funeral Services will be held at 3:00 PM on Wednesday, January 16, 2019 at First Presbyterian Church with Dr. Bill Lowe officiating. In lieu of flowers, memorials may be made to First Presbyterian Church, 107 W. Academy Street, Cherryville, NC 28021. Stamey-Cherryville Funeral Home & Cremation Service is serving the family of Mrs. Randall. To plant a tree in memory of Rachel Eaker Randall, please visit our Tribute Store. "Email Address" would like to share the life celebration of Rachel Eaker Randall. Click on the "link" to go to share a favorite memory or leave a condolence message for the family.